How Much Water Goes Down The Drain To Prevent Frozen Pipes? A Brandon cat did an impressive vanishing act this weekend after disappearing from her family’s home only to turn up in an old water well. Parts of Investors Group Field have sustained some water damage due to the spring thaw, according to the consortium that funded the construction of Winnipeg’s CFL stadium. Driving in northwest Winnipeg this morning? You may want to avoid Church Avenue near Fife Street, as crews are fixing a water main break in the area this hour. The north curb lane and adjacent lane of Pioneer Avenue are temporarily closed at Main Street while crews repair a water main break. WINNIPEG – City officials are urging residents to keep an eye on their temporary hose lines as the temperature is set to drop again this weekend. Carter Berezay has one of the 579 temporary hoses pumping water from his neighbour's house to his. 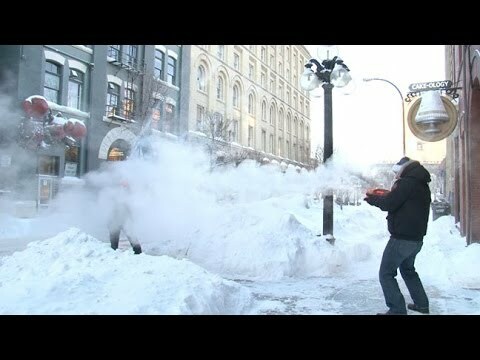 Winnipeg city council has voted 13- 2 in favour of declaring the frozen water pipe crisis a disaster, a move that will allow it to apply for disaster financial assistance from the federal and provincial governments. Hundreds of Winnipeg homeowners have been struggling with frozen pipes over the last few weeks, but local business owners are also trying to make do without running water. A Winnipeg pet store is being forced to close down after going a full month without water due to frozen pipes. … Ellice Avenue. The break flooded several blocks along Wall. Several water main breaks, including on Tache Avenue, Assiniboine Avenue, Route 90 and Selkirk Avenue, caused problems for residents, businesses and drivers in the past week in Winnipeg. Saving Lake Winnipeg is the subject of an exhibit that opened at the Manitoba Museum Saturday, which is also World Water Day. City crews were busy cleaning up Thursday after a series of water main breaks made a mess during the morning commute around Winnipeg. Three water mains burst during another day of frigid temperatures, sending water gushing out onto city streets.